Abstract : Accurate localization of solid organs tumors is crucial to ensure both radicality and organ function preservation. Augmented Reality (AR) is the fusion of computer-generated and real-time images. AR can be used in surgery as a navigation tool, by creating a patient-specific virtual model through 3D software manipulation of DICOM imaging (e.g. CT-scan). The virtual model can be superimposed to the real-time images to obtain the enhanced real-time localization. However, the 3D virtual model is rigid, and does not take into account inner structures’ deformations. 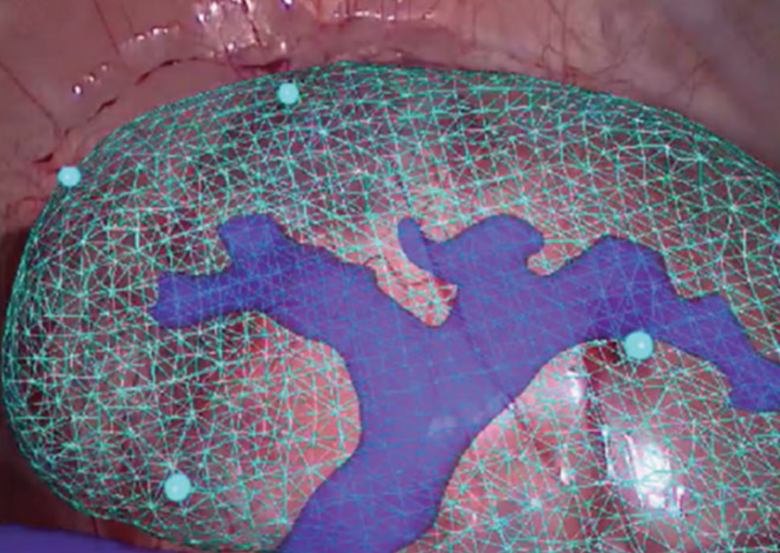 We present a concept of automated navigation system, enabling transparency visualization of internal anatomy and tumor’s margins, while the organs undergo deformation during breathing or surgical manipulation.